There aren’t many events that are quite as exciting as purchasing a new vehicle. No matter if you plan to lease or finance, once you’ve found your dream car, all you can think about is getting into the driver’s seat.While you’re shopping, it’s helpful to know that you have the unwavering support of a team of experts who will do everything possible to make you happy. So, whether you want to zip, zoom, buzz, or burst along the roads of Stratham, Portsmouth, or Exeter, our BMW financing services will ensure that you do just that. When you’re ready for industry-leading customer dedication, head over to BMW of Stratham. At our dealership, you’ll find the unparalleled care of our BMW financing specialists. Read all about our finance center below, and don’t hesitate to contact us if you have any questions. Congratulations! You’re well on your way to locating your dream BMW. Once you’ve set your heart on that impressive BMW 330i, sporty BMW X3, or any of our other vehicles, our BMW finance team will be prepared to guide you through financing. From the moment you sit across from one of our associates, you’ll realize just how committed we are to secure you with the lease or car loan option you want. We’ll tirelessly negotiate with local banks and lenders to help you score the plan that best fits your lifestyle. Furthermore, our BMW finance team works with all types of credit scores and will assist you in finding the right financing choices for you. That way, you can feel as confident when leaving our dealership as you do behind the wheel of your new, pre-owned, or certified pre-owned vehicle. Are you eager to get started on financing your new BMW? Great! Our handy, online pre-approval finance application allows you to fill out your information and send it our way before you set foot into our showroom. That way, you don’t have to wait to begin purchasing your vehicle and can get the BMW loan rates you deserve. After we’ve reviewed the details of your application, our financing team will contact you to discuss leases vs. BMW loans. With this convenient gadget, your ticket to vehicle happiness will be that much closer. Along with our finance application, we have other convenient online tools to take advantage of. First, there’s the Value Your Trade tool. This will help determine how much money you’d get for your current car to put towards a new BMW. Simply enter the make and model of your vehicle, and you’ll get an estimate in just a few minutes. Plus, if you already have a certain budget in mind, you can browse our lineup by payment. That way, you’ll only be presented with a selection of cars that meet your price range requirements. You can also use our loan calculator to help determine how much you’d be paying per month. You’ll want to factor in a down payment and trade-in (if applicable). The more money you put down initially, the less you’d have to pay each month. Additionally, we have plenty of BMW finance specials and programs to give you further peace of mind. For instance, there’s the BMW’s Military Salute. We work alongside the United Services Automobile Association (USAA) to thank the men and women who are serving our country. There’s also the BMW College Graduate Program. This is for students who have graduated from college in the past year or who will be graduating in the next four months. Whether you’re looking to lease or finance a new or certified pre-owned BMW, we have incentives just for you. Even if neither program applies to you, you can still save on a car. Check out our various lease and loan offers on new or pre-owned vehicles. Be sure to look through these specials often, as they do change from time to time. Finance Your New BMW Today!  When you choose BMW of Stratham for your next car-buying venture, you’ll truly feel the support of a staff that’s well-versed in going above and beyond your expectations. Regardless of what your needs are, our BMW finance team will assist all drivers in Stratham, Portsmouth, and Exeter in discovering their perfect car. We’ll have you sailing down the road in a new vehicle in no time! Contact our finance team today to get the process underway.